Well maintained, stunning 3 bedroom, spacious loft, MBR with MBA ensuite on the main level beauty in DRAKES LANDING, desired WAYNE TOWNSHIP! Stylish floor plan, eat in kitchen. 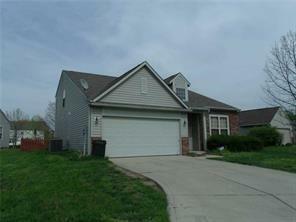 2 FULL BATHS; 1 HALF BATH; Fireplace; Laundry room main level; open patio! This LIST AND PEND did not last long!